There’s a peanut butter out there for every type of single man. Not too long ago, you ate whatever peanut butter your momslathered onto a sandwich, and then you went back outside to play with your friends. However, times have changed, and pb has grown up. This maturation is a good thing for everyone, but particularly bachelors, who—let’s be honest, here—often need help when making quality food decisions. 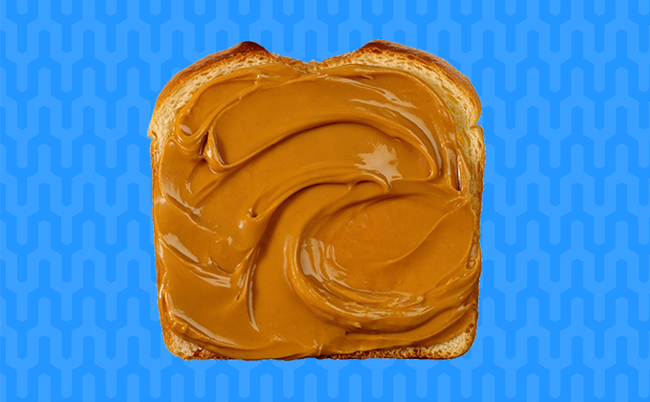 There’s no better decision anyone can make than peanut butter (no assembly required, it’s packed with protein, and it’s delicious), but with so many options, what’s a single guy to do? Come to me for help, that’s what. I’m a bachelor, and I know my peanut butter, which is why I’m highlighting six peanut butters perfect for anyone who’s tired of eating cereal for dinner. I’m no doctor (yet), but I’m pretty sure this Richard fellow has been misdiagnosed because there’s nothing crazy about this peanut butter. In fact, Crazy’s Richard Peanut Butter Co’s take on pb is so standard that its picture should be next to the “peanut butter” entry in all dictionaries. This isn’t a bad thing, mind you. Rather, Crazy Richard’s is straight-up, classic peanut butter, the kind that’s perfect for a no-frills type of bachelor. You know, the guy who won’t spend $40 on an iron because he uses the dryer instead. Those guys will adore Crazy Richard’s because this not-so-crazy Richard has made a most tasty peanut butter, and he does so without the help of oil, salt, and sugar. And, as you know, men hate help. Whole Foods Market sells an array of peanut butters under its 365brand. However, I wouldn’t know anything about those because I have an exclusive endorsement deal with the peanut butter grinder found at all of these markets. OK, that part about the endorsement deal is totally a lie, but every second of a bachelor’s life is a lie (What? You believe us when we say we prefer being alone?). Anyway … here’s what’s not a lie: I’ve never bought or consumed a single food more than the self-ground pb at Whole Foods. I purchase two of the large tubs at a time, and—no exaggeration—I do this at least three times a week. I live between two Whole Foods, and each store knows me as the peanut butter guy. And I don’t care. As a vegan diabetic, I’ve learned that peanut butter is absolutely mandatory to my existence, and the fact that the self-ground peanut butter is thick, hearty, and delicious means I’d be eating this just as often even if I had a functioning pancreas. 3. Peanut Butter & Co. If ever I’m on death row (for a crime, I assure you, I did not commit), Peanut Butter & Co. will definitely be on my last-meal wishlist. And while the current version of me (you know, the one not in prison) has been known to eat entire jars of Dark Chocolate Dreams or Cinnamon Raisin Swirl in less than 24 hours, if I have only one meal left in my life, that meal will include White Chocolate Wonderful. With six grams of protein and seven grams of sugar per serving, this peanut butter must have been concocted by a fellow bachelor because who else could have been genius enough to simplify dinner and dessert into a meal that requires nothing more than a spoon? That’s some Grade-A bachelor thinking right there, the kind that would almost make me forget that I’ve been falsely accused of robbing all those banks using a homemade lightsaber. Almost. I’ve taken only one taste of Yumbutter’s Espresso Peanut Butter, not because I didn’t like the flavor but because merely walking past a Starbucks keeps me awake for three days. That said, I suspect I would eat one of these espresso pouches every morning if I ever get the desire never to sleep again. Plus, Yumbutter comes in a pouch, and nothing says “bachelor” like squeezing food from a tube. If you believe in stereotypes, then you think all men love building things. And, if you believe all men love building things, then PB2 is the ideal peanut butter for a bachelor. Rather than taking the easy way (ie, blending the peanuts, jarring the butter, and selling the peanut butter), PB2 has created a powder that requires some work to achieve its desired results (having peanut butter). By adding water and stirring the powder, vegan bachelors will feel as if they have accomplished something more than swishing a spoon around a bowl, which is vital to the relationship-less man. You see, without a relationship, bachelors don’t get that sense of pride that comes from your partner’s excitement after hanging a picture, changing a tire, or walking the dog. So, we have to find other outlets to fill our need to build. And what better to build than peanut butter? Do you remember that Seinfeld episode when a frozen yogurt shop claims its yogurts are sugar-free, but then Jerry and company discover the opposite is true? That’s how I feel about CB’s Nuts peanut butter. By that, I mean I’m having a hard time believing CB’s Creamunchy contains “no added oils, no added sugars, no emulsifiers, (and) no salt” because this pb is mind-blowingly good. I’ve had my fair share of peanut butters, and no brand has ever mastered the art of regular pb like CB’s. Eating this will remind bachelors that we don’t need a fancy car, nice clothes, or lots of zeroes in our bank accounts to attract a good woman—instead, we need to be ourselves, and allow our positive traits to be on display. That, and a good jar of peanut butter.